At age 15, Jenna Jackson, of Steam Mill, Nova Scotia is a leader on the Nova Scotia Bantam Girls Baseball Team. 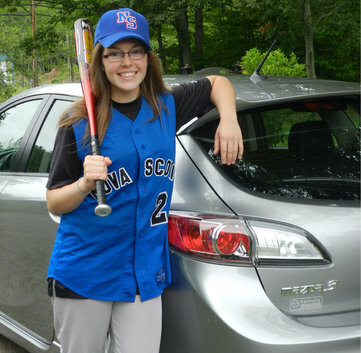 She travels the province in her family's Skyactiv Mazda 3 playing ball in the Bluenose AAA Bantam Baseball League and will be participating in Baseball Canada's International Invitational Championship in Bedford, NS, August 23-27. Last year, the girls' team captured bronze, and Jenna was named the All-Star Catcher of the Tournament. 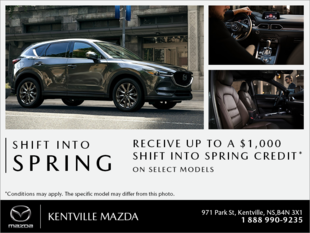 She was also Sport Nova Scotia's Ricoh Female Baseball Player of the Year and Baseball Nova Scotia's Junior Female Baseball Player of the Year.